Polyester Nylon Taffeta embroidered with circle patterns in complimentary colors. Additional sizes and colors available. Please call 541.752.7255 to speak to one of our Customer Service Representatives today! 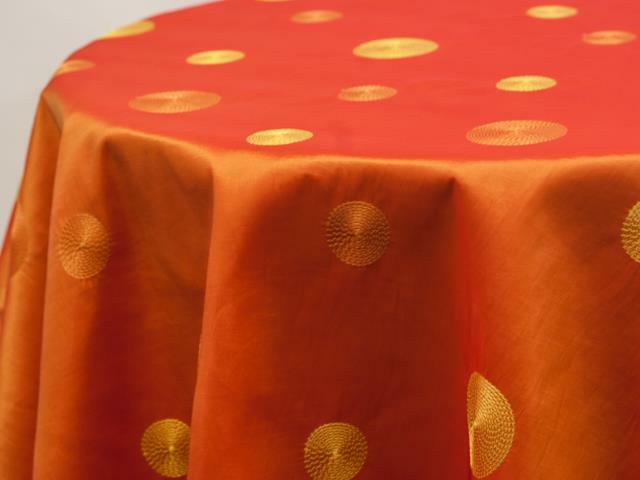 * Please call us for any questions on our circle taffeta orange rentals serving Corvallis OR, Albany OR, Salem OR and surrounding areas.